Natural Cocoa Butter, BN01 is one of the popular food additives and ingredients in most countries, As a professional Natural Cocoa Butter, BN01 supplier and manufacturer, Foodchem International Corporation has been supplying and exporting Natural Cocoa Butter, BN01 from China for almost 10 years, please be assured to buy Natural Cocoa Butter, BN01 at Foodchem. Any inquiries and problems please feel free to send emails to us via sales@foodchem.cn, we will reply you within 1 working day. 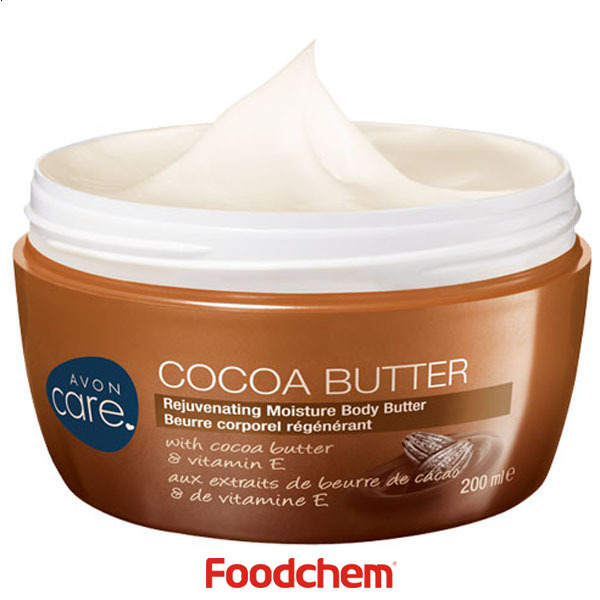 Cocoa butter, also called theobroma oil, is a pale-yellow, edible vegetable fat extracted from the cocoa bean. 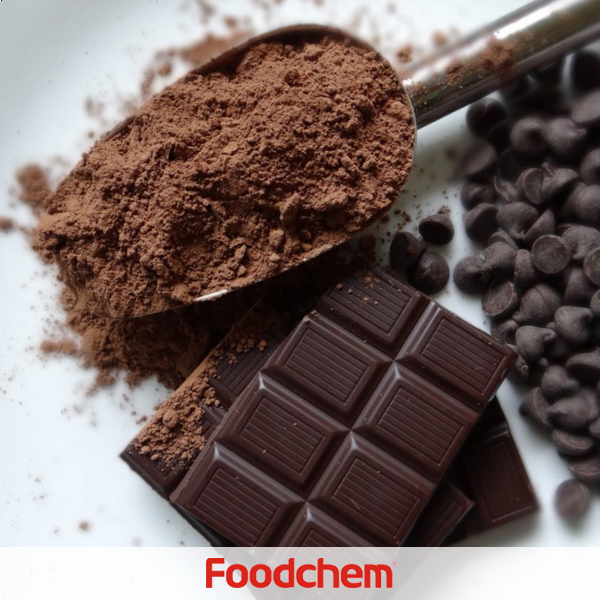 It is used to make chocolate, as well as some ointments, toiletries, and pharmaceuticals.Cocoa butter has a cocoa flavor and aroma.Cocoa butter is a major ingredient in practically all types of chocolates (white chocolate, milk chocolate, but also dark chocolate). This application continues to dominate consumption of cocoa butter.Pharmaceutical companies heavily use cocoa butter's physical properties. As a nontoxic solid at room temperature that melts at body temperature, it is considered an ideal base for medicinal suppositories. Foodchem is an ISO2008 9001 certified company, as for Natural Cocoa Butter, BN01, we can offer HAPPC, KOSHER, HALAL Certificates, ect. 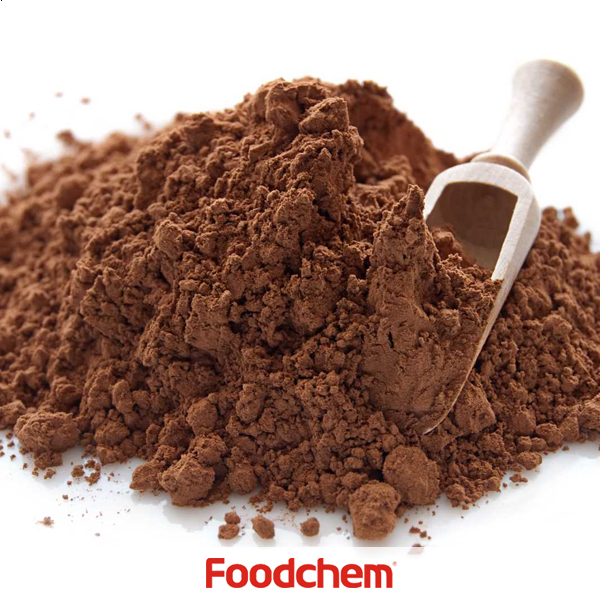 Foodchem is both manufacturer and trading company, we are Natural Cocoa Butter, BN01 distributor, at the same time, we are manufacturer of other products. 3, What is the Min Order Quantity of Natural Cocoa Butter, BN01? Different products have different MOQ, for Natural Cocoa Butter, BN01, the MOQ is 500kg. 4, What is the price of Natural Cocoa Butter, BN01? 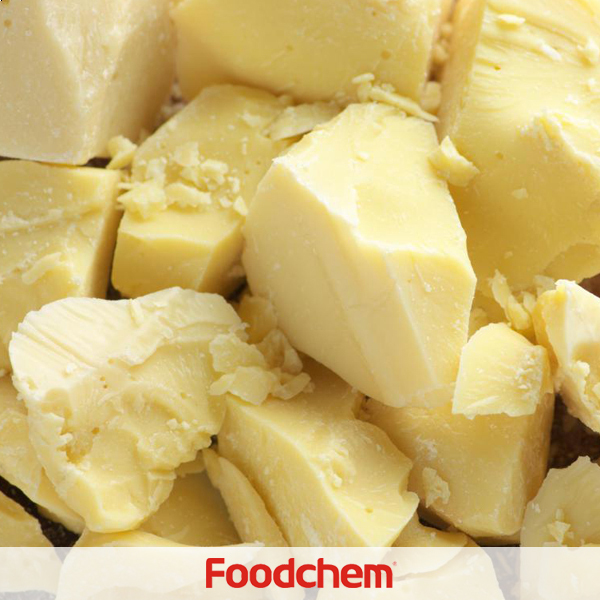 Foodchem is a famous supplier and manufacturer of Natural Cocoa Butter, BN01 in China, and has been corporate with many Natural Cocoa Butter, BN01 suppliers for several years, we can provide you with cost-effective Natural Cocoa Butter, BN01. We can guarantee to reply your inquiries of Natural Cocoa Butter, BN01 in less than 24 hours in working days. Hairil MQ : Our company is looking for a reliable supplier who can provide cocoa butter. Supplier could be from worldwide but quality should be good and the prices should be reasonable. 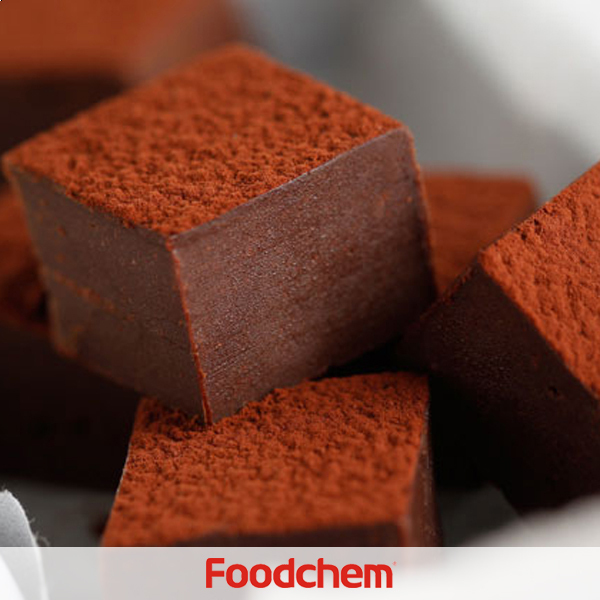 FOODCHEM A : Hello,glad to serve you,and very pleased to inform you that FOODCHEM is a Professional, not just an Ingredients Supplier, a Reliable Business Partner! Patience MukwezaQ : Hello, is your cocoa butter powder or solid?what is the color? FOODCHEM A : Hello,we have cocoa butter in both solid and powder form, the color is light yellow.